MRI is a sensitive tool for the evaluation of synovitis in juvenile idiopathic arthritis (JIA). The purpose of this study was to introduce a novel MRI-based score for synovitis in children and to examine its inter- and intraobserver variability in a multi-centre study. 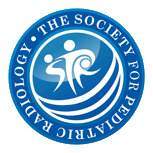 Wrist MRI was performed in 76 children with JIA. 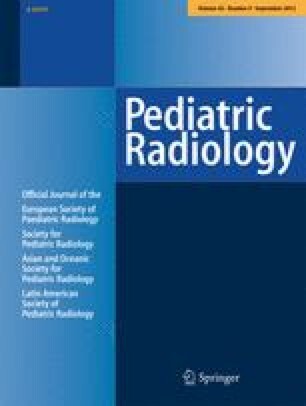 On postcontrast 3-D spoiled gradient-echo and fat-suppressed T2-weighted spin-echo images, joint recesses were scored for the degree of synovial enhancement, effusion and overall inflammation independently by two paediatric radiologists. Total-enhancement and inflammation-synovitis scores were calculated. Interobserver agreement was poor to moderate for enhancement and inflammation in all recesses, except in the radioulnar and radiocarpal joints. Intraobserver agreement was good to excellent. For enhancement and inflammation scores, mean differences (95 % CI) between observers were −1.18 (−4.79 to 2.42) and −2.11 (−6.06 to 1.83). Intraobserver variability (reader 1) was 0 (−1.65 to 1.65) and 0.02 (−1.39 to 1.44). Intraobserver agreement was good. Except for the radioulnar and radiocarpal joints, interobserver agreement was not acceptable. Therefore, the proposed scoring system requires further refinement. An erratum to this article can be found at http://dx.doi.org/10.1007/s00247-012-2534-8. Supported by a grant from the European Union, Health-e-Child Integrated Project (IST-2004-027749).